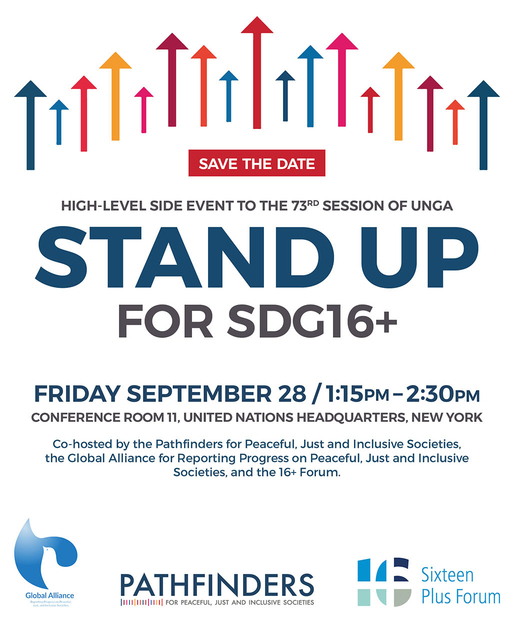 The event will be held on September 28 2018, 1:15-2:30 p.m. (EDT) in Conference Room 11, UNHQ New York. RSVP is required through Eventbrite. Entry requires a UN Ground Pass. If you do not hold a UN Ground Pass please follow the instructions on the Eventbrite registration form. Entry to the venue is from the 46th Street, 1st Avenue entrance. In addition to the UN Security access pass, a government-issued photo identification (which must match the name given for UN Security pass) is required to enter the premises.